Neo Square is a distinguished commercial property with various spectacular options, located at Dwarka Expressway, Sector-109 of Gurgaon. The Neo Developers has brought in this commercial development with numerous distinct, beautifully designed and crafted spaces of commercial segments depicting with world class attributes. This project targets the high-end market segments. This gigantic commercial development incorporates various commercial spaces such as retail, food court, serviced apartments, hypermart, restaurants, cinema and a number of office spaces. 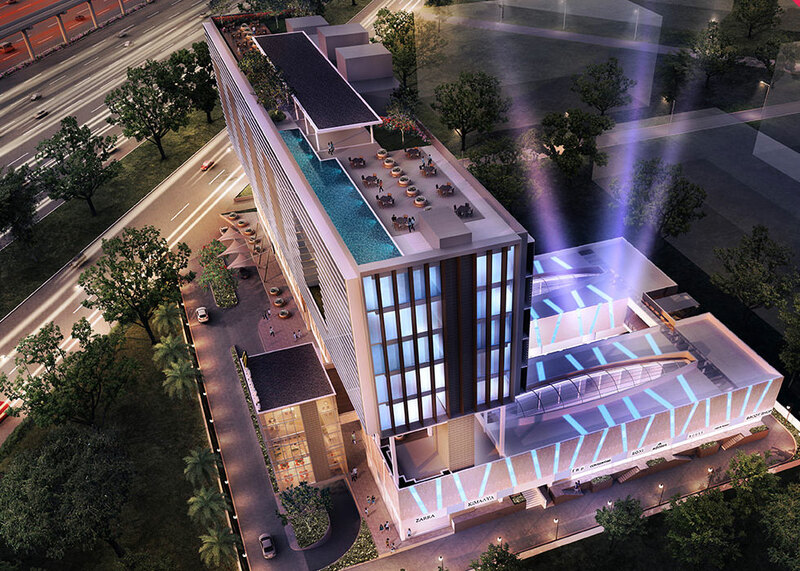 Gurgaon is the real time enormous commercial capital of National Capital Region. Real estate development in this part of the city is aggressively functional with numerous realty plans in divergent locales. 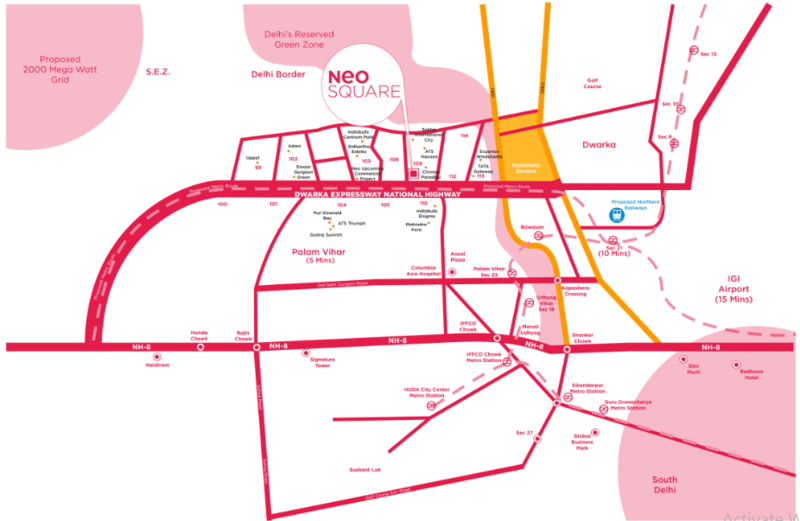 Neo Square Gurgaon is offering a vast range of commercial spaces ranging from 250 sq. ft. in the current time lap. This commercial development incorporates numerous unique features, like state-of-the-art food court, 8-screen multiplex, optional valet parking, multiple entry exits, accessibility from all sides, and furthermore that attracts your attention. NCR is the future hot spot of real estate properties of the northern realty region. This commercial undertaking is closely located to the express corridors like Dwarka Expressway, NH-8, Delhi-Gurgaon Expressway, Delhi-Ajmer Expressway, etc. Connectivity to public transport services like IGI airport, metro railway, and numerous road transport services to commute in adjacent and remote areas in the good time is also available. This project is encircled with the services like- hospitals, banking facility and further more. Neo Square Price varies from @ Rs. 24.54 lakhs for numerous commercial options available in here. Feel the difference after picking your choice of space at this Square in the real time, along with numerous exquisite features at present. Huge frontage of 1000 ft.
Dwarka Expressway is a dream destination for property investments in the entire National Capital Region.